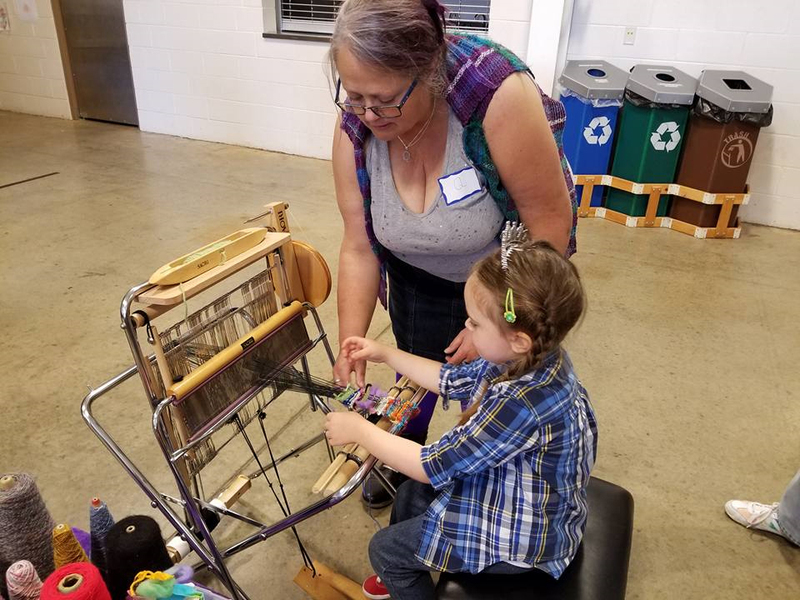 Want to learn to weave or sew? The Cat can help with that! We teach classes in freestyle weaving and in sewing your handwoven fabric. All ages welcome, no experience necessary. Students have access to a wide array of yarns and other materials and are welcome to bring anything they'd like to add to their project. They leave with what they create or can choose to come back to work on a larger project. Just want to experiment? Play with color and texture and have fun making something new! Have a specific idea or look in mind? We can teach you techniques to help make it happen. We provide the looms and the materials, the sewing machines and the scissors. You provide your own personal sense of what's beautiful - to YOU. Together, we'll make something wonderful. COMING SOON: make-and-take classes - envelope clutch, messenger bag, Moebius scarf, free-form hood, and more! Up to three people per class (fourth loom coming soon!). Schedule yours now: message the Cat on Facebook or go directly to the scheduling calendar. You'll learn on one of our three class looms. Our studio at Flying Monkey Arts at historic Lowe Mill in Huntsville, AL is climate controlled and in the center of one of the most creative places you'll ever visit. Up to three students per class. Ages 6 and up are welcome. Students under 10 require adult supervision. We have a comfy chair, drinks, and Wifi for their enjoyment. Color and texture! Leave with what you make or schedule time to make a larger project.